The first complete solution for precise auto glass camera calibration, Opti-Aim™ is the industry’s first windshield calibration tool for managing complex installations that demand precise, camera-ready accuracy for all makes and models of automobiles. Windshield Calibration Services is excited to be a Opti-Aim factory trained and authorized windshield calibration dealer serving all of Southwest Florida. Call (239) 719-1177 Today! Why Should Windshield Camera Calibration Be Performed? Windshield camera calibration technology from Opti-Aim has been developed to reset vehicles equipped with Advanced Driver’s Assistance Systems to factory applied specifications. Advanced Driver Assistance Systems or ADAS is a family of safe driving systems used to improve safer driving. Vehicles equipment with ADAS technology has proven to be safer on the road and help prevent accidents and deaths. We can expect more vehicles to come equipped with more advanced ADAS warnings every year. However, these systems are preset at the factory to the current conditions of your vehicle. can change an ADAS camera angle by just one degree. 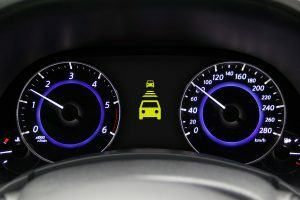 Any changes to a vehicle’s Advanced Driver Assistance Systems can have an impact on the camera’s viewing area, which can impact how the vehicle’s ADAS features will perform. Windshield camera calibration adjusts and tests all the cameras and sensors on the windshield to ensure they are correctly aligned. 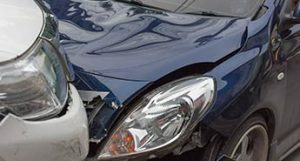 Without calibration, the vehicles, Advance Driver Assistance Systems may not function properly and possibly lead to an accident. Windshield calibration typically takes about 30 to 45 minutes. Even though it sounds simple, the calibration is a complex process that requires specialized equipment and training. Call Windshield Calibration Services Today! Windshield Calibration Services uses Opti-Aim, a custom calibration tool from Pilkington. When connected with a vehicle’s computer Opti-Aim starts the optimization process of windshields cameras alignment and restores cameras to the manufacturer’s specifications. Each of our technicians is Opti-Aim trained and certified. Our mission is to make driver assistance systems safe – again! For the fastest response to your windshield camera calibration needs calls us today at (239) 719-1177.